2008–Present: Lecturer on Public Health Issues and Approaches to Addiction, Virginia Commonwealth University/Kings College London/University of Adelaide International Masters of Science Online Programme in Addiction Studies. 1. Csete, J., … Obot, I et al. (2016). Public health and international drug policy. The Lancet, 387 (10026), 1427-1480. 3. Obot, I. S. (2015). Africa faces a growing threat from neo-colonial alcohol marketing. Addiction, 110, 1371-1372. 4. Obot, I. S. (2013). Alcohol marketing in Africa: not an ordinary business. African Journal of Drug and Alcohol Studies, 12(1), 63-73. 5. Umoh, O. & Obot, P., & Obot, I.S. (2012). Perception of alcohol availability, promotion and policy in Nigeria. African Journal of Drug and Alcohol Studies, 11(2), 107-116. 6. Hall, W., Babor, T., Edwards, G., Laranjeira, R., Marsden, J., Miller, P., Obot, I., Petry, N., Thamarangsi, T., & West, R. (2012). Compulsory detention, forced detoxification and enforced labour are not ethically acceptable or effective ways to treat addiction. (Editorial). Addiction, 107(11), 1891-1893. 7. Obot, I. S. (2012). Developing countries ignore drinking and driving problems at their own peril: Commentary on Pechansky and Chandran: Why don’t Northern hemisphere solutions to drunk driving work in Southern America?” Addiction, 107(7), 1209-1210 . 8. Obot, I.S. (2011). Improved rankings of drugs can bring sense and order to a failed system. Commentary on Caulkins et al. Basing drug scheduling decisions on scientific rankings of harmfulness: false promise from false premises. Addiction, 106(11), 1894–1895. 9. Dua, T., … Obot, I. S. et al. (2011). Evidence-based guidelines for mental, neurological, and substance use disorders in low- and middle-income countries: summary of WHO recommendations. PLOS Medicine, 8(11), e1001122. 10. Graham, K., Bernards, S., Knibbe, R., Kairouz, S. Kuntche, S., Wilsnack, S., Greenfield, T., Dietze, P., Obot, I., & Gmel, G., (2011). Alcohol-related negative consequences among drinkers around the world. Addiction, 106(8), 1391–1405. 11. Pitso, J. M. N. & Obot, I.S. (2011). Botswana alcohol policy and the presidential levy controversy. Addiction , 106, 898-905. 12. Babor, T., Caulkins,J., Edwards, G., Fischer, B., Foxcroft, D., Humphreys, K., Obot, I. S., Rehm, J., Reuter, P., Room, R., Rossow, I., & Strang, J. (2010). Drug policy and the public good: summary of the book. Addiction, 105, 1137-1145. 13. Obot, I.S. (2009). Disclosing conflicts of interest: common standards in uncommon contexts. Addiction, 104, 1786-1787. 14. Bernards, S., Graham, K., Kuendig, H., Hettige, S., & Obot, I. (2009). ‘I have no interest in drinking’: a cross-national comparison of reasons why men and women abstain from alcohol use. Addiction 104(10), 1658-1668. 15. Benegal, V., Chand, P. K., Obot, I. S. (2009). Packages of care for alcohol use disorders in low- and middle-Income countries. PLoS Medicine, 6(10), e1000170. 16. Roerecke, M., Obot, I. S., Patra, J., & Rehm, J. (2008). Volume of alcohol consumption, patterns of drinking and burden of disease in sub-Saharan Africa, 2002. African Journal of Drug and Alcohol Studies, 7(1), 1-16. 17. Obot, I.S. (2007). Limits of substance-use interventions in developing countries. Lancet, 369(9570), 1323-1325. 18. Obot, I.S. (2007). Harm reduction – what is it? Commentary on Ball. Addiction, 102, 691-692. 19. Obot, I.S. (2007). Nigeria: alcohol and society today. Addiction, 102, 519-522. 20. Obot, I.S. (2007). Classic text revisited: Alcohol in colonial Africa by Lynn Pan. Addiction, 102, 691-692. 21. Obot, I.S. (2006). Alcohol use and related problems in sub-Saharan Africa. African Journal of Drug and Alcohol Studies, 5(1), 17-26. 22. Jernigan, D., & Obot, I.S. (2006). Thirsting for the African market. African Journal of Drug and Alcohol Studies, 5(1), 57-70. 23. Peltzer, K., Seoka, P., Babor, T. & Obot, I. (2006). Training primary care nurses to conduct alcohol screening and brief interventions in South Africa. Curationis, 29(2), 16-21. 24. Poznyak, V., Saraceno, B., & Obot. I. S. (2005). Breaking the vicious circle of determinants and consequences of harmful alcohol use (editorial). Bulletin of the World Health Organization, 83(11), 803-804. 25. Obot, I.S. (2005). Bridging the gap: the challenges and promise of addiction journal publishing in Africa (editorial). Addiction, 100(9), 1210-1211. 26. Obot, I.S., Poznyak, V., & Monteiro, M. (2004). From basic research to public health policy: WHO report on the neuroscience of substance dependence. Addictive Behaviors, 29, 1497-1502. 27. Obot, I.S., & Anthony, J. C. (2004). Mental health problems in adolescent children of alcohol dependent parents: epidemiologic research with a nationally representative sample. Journal of Child and Adolescent Substance Abuse, 13(4), 83-96. 28. Obot, I.S. (2004). Responding to drug problems in Nigeria: the role of civil society organizations. Substance Use and Misuse, 39(8), 1289-1301. 29. Obot, I.S. (2004). Assessing Nigeria’s drug control policy, 1994-2000. The International Journal of Drug Policy, 15, 17-26. 30. Obot, I.S., Karuri, G.S, & Ibanga, A.J. (2003). Substance use and other risky behaviours of secondary school students in a Nigerian urban area. African Journal of Drug and Alcohol Studies, 2(1&2), 57-65. 31. Obot, I.S. & Ibanga, A. J. (2002). Selling booze: alcohol marketing in Nigeria. The Globe, 2, 6-10. 32. Obot, I. S., Wagner, F. A., & Anthony, J. C. (2001). Early onset and recent drug use among children of parents with alcohol problems: data from a national epidemiologic survey. Drug and Alcohol Dependence, 65, 1-8. 33. Obot, I.S., Ibanga, A.K., Ojiji, O.O., & Wai, P. (2001). Drug and alcohol consumption by out-of-school Nigerian adolescents. African Journal of Drug & Alcohol Studies, 1(2), 98-109. 34. Obot, I.S. (2001). The role of the Nigerian family in promoting drug free communities. Journal of Family Social Work, 6, 53-68. 35. Obot, I.S. (2000). The measurement of drinking patterns and alcohol problems in Nigeria. Journal of Substance Abuse, 12, 169-181. 36. Obot, I. S., & Anthony, J. C. (2000). School dropout and injecting drug use in a national sample of white non-Hispanic American adults. Journal of Drug education, 30(2), 145-152. 37. Obot, I. S. & Anthony, J.C. (1999). Association of educational status with recent and past injecting drug use. Addictive Behaviors: An International Journal, 24, 701-705. 38. Obot, I. S., Hubbard, S., & Anthony, J.C. (1999). Level of education and injecting drug use among African Americans. Drug and Alcohol Dependence, 55, 177-182. 39. Obot, I. S. (1996). Country profile: Nigeria. Psychology International, 7(2), 4-5. 40. Obot, I. S. (1996). Psychologists in the Nigerian health care system: a brief report. Psychology and Health, 12, 39-42. 41. Obot, I. S. (1995). Epidemiology of inhalant abuse in Nigeria. In N.Kozel Z. Sloboda & M. de la Rosa (eds. ), Epidemiology of Inhalant Abuse: An International Perspective. NIDA Research Monograph 148. Rockville: National Institute on Drug Abuse. 42. Obot, I. S., & Obot, T.I (1995). Alcohol and domestic violence: an analysis of court records. Nigerian Journal of Basic and Applied Psychology, 4(1&2), 65-72. 43. Obot, I. S., & Gire, J.T. (1995). Psychology and national development. Nigerian Journal of Basic and Applied Psychology, 4(1&2), 20-31. 44. Obot, I. S. (1993). What do they think of us? The image of psychology and psychologists in Nigeria. Nigerian Journal of Basic and Applied Psychology, 3(1), 1-9. 45. Obot, I. S. (1992). Ethical and legal issues in the control of drug abuse and drug trafficking: the Nigerian case. Social Science and Medicine, 35(4), 481-493. 46. Obot, I. S. (1991). The control of smoking in public places: Health, research and policy considerations. Current Issues in Development, 1(1), 1-11. 47. Obot, I. S., & Olaniyi, A. A. (1991). Drug-related psychotic disorders in four Nigerian hospitals, 1984-1988. Nigerian Journal of Psychology, 8(1), 13-16. 48. Obot, I. S. (1990). Substance abuse, health and social welfare in contemporary Africa: An analysis of the Nigerian experience. Social Science and Medicine, 31(6), 699-704. 49. Obot, I. S. (1990). The use of tobacco products among Nigerian adults: A general population survey. Drug and Alcohol Dependence, 26(2), 203-208. 50. Obot, I. S. (1990). A framework for alcohol policy in Nigeria. Nigerian Journal of Policy & Strategy, 5(1&2), 119-133. 51. Obot, I. S. (1989). Treatment options in alcohol and drug dependence. Nigerian Journal of Basic & Applied Psychology, 2(1&2), 63-79. 52. Obot, I. S. (1989). The effects of speech style and opinion similarity on social evaluation. Nigerian Journal of Sociolinguistics, 2(2), 127-140. 53. Obot, I. S. (1988). Social science and medical education in Nigeria. Social Science and Medicine, 26(12) 1191-1196. 54. Obot, I. S. (1988). Value systems and cross-cultural contact: The effect of perceived similarity and stability on social evaluations. International Journal of Intercultural Relations, 12, 363-380. 55. Obot, I. S. & Neighbors, H. V. (1988). Health and psychosocial consequences of problem drinking. Nigerian Journal of Basic and Applied Psychology, 1(2), 11-22. 56. Obot, I. S. (1988). Basic and applied psychology: Scientific purity vs. social relevance. Nigerian Journal of Basic and Applied Psychology, 1(1), 1-11. 57. Egwu, I. N., & Obot, I. S. (1987). Nigerian healthcare: reaching out to all the people. The Health Service Journal, 97(5042), 338. 59. Obot, I. S. (in press). The relevance of western research to developing countries: Narrowing the North-South divide in drug policy and practice. In T. Kolind, B. Tom, & Hunt, G. (eds), The SAGE Handbook of Drug & Alcohol Studies: Social Science Approaches. Los Angeles: Sage Reference. 60. Obot, I. S., Ibanga, A. K., & Zamani, A. (2012). Substance use and HIV/AIDS in Africa. In Obot, I. S., Ibanga, A. K., & Zamani, A. (eds. ), Substance abuse and HIV/AIDS in Africa. Uyo/Abuja: CRISA. 61. Obot, I.S (2008). Nigeria. Encyclopedia of Drugs and Alcohol. New York: MacMillan Publishers. 62. Miller, P., Babor, T., McGovern, T., Obot, I. & Bühringer, G. (2008). Relationships with the alcoholic beverage industry, pharmaceutical companies, and other funding agencies: holy grail or poisoned chalice? In T. Babor, K.Stenius, S. Savva, & O’Reiley, J. (eds. ), Publishing addiction science: a guide for the perplexed (2nd Edition).pp.189-211. London: International Society of Addiction Journal Editors. 63. Stenius, K., Obot, I., Kerr-Corrêa, F., Furtado, E. F., and Babor, T. F. (2008). Beyond the Anglo-American world: advice for researchers from developing or non-english-speaking countries. In T. Babor, K.Stenius, S. Savva, & O’Reiley, J. (eds. ), Publishing addiction science: a guide for the perplexed (2nd Edition). pp. 36-48. London: International Society of Addiction Journal Editors. 64. Diop, A. G., Millogo, A., Obot, I., Tima I., & Tylleskar, T. (2006). Neurological disorders associated with malnutrition. In World Health Organization, Neurological disorders: public health challenges (pp.111-126). Geneva: World Health Organization. 65. Obot, I.S. (2005). Substance use among students and out-of-school youth in an urban area of Nigeria. In I.S. Obot & S. Saxena (eds. ), Substance use among young people in urban environments. Pp. 133-146. Geneva: World Health Organization. 66. Obot, I.S., & Saxena, S. (2005). Urbanization, youth and substance use: an introduction. In I.S. Obot & S. Saxena (eds. ), Substance use among young people in urban environments. Pp. 1-8. Geneva: World Health Organization. 67. Obot, I.S., & Saxena, S. (2005). Urbanization, young people and substance use: research priorities and public health issues. In I.S. Obot & S. Saxena (eds. ), Substance use among young people in urban environments. Pp. 203-209. Geneva: World Health Organization. 68. Tolan, P., Schoeny, M., Slavick, J., Pimpawun, B., Czemy, V., Eisenstein, E., Movaghar, A.R., Morojele, N., Nayar, U., Obot, I.S., Ommeren, M., Ramos-Lira, L., Surjadi, C., & Saxena, S. (2005). Substance use among adolescents in urban areas: a brief survey in nine countries. In I.S. Obot & S. Saxena (eds. ), Substance use among young people in urban environments. Pp. 191-202. Geneva: World Health Organization. 69. Wilsnack, R., Wilsnack, S., & Obot, I.S. (2005). Why study gender, alcohol and culture? In Obot, I.S. & R. Room (eds. ), Alcohol, gender and drinking problems: perspectives from low and middle income countries. Pp. 1-24. Geneva: World Health Organization. 70. Stenius, K., Obot, I., Kerr-Correa, F, Furtado, E. F. & Babor, T.F. (2004). Reaching Parnassus: advice on how to get published for researchers from developing or non-English speaking countries. In T.F. Babor, K. Stenius & S. Savva (eds.) Publishing addiction science: a guide for the perplexed. (pp. 31-42). London/Geneva: International Society of Addiction Journal Editors/World Health Organization. 71. Obot, I.S. (2002). Desde Africa. In R. Ardilla (ed. ), La psicologia en el futuro (pp. 239-244). Madrid: Ediciones Piramide. 72. Obot, I.S. (2001). Household survey of alcohol use in Nigeria. In R. Room, A. Demers, & C. Bourgault (eds. ), Surveys of drinking patterns and problems in seven developing countries. Pp. 63-77. Geneva: World Health Organization. 73. Obot, I.S. (2000). Social change, urbanization and drug use among Nigerian youth. In I.S. Obot & A. J. Ibanga (eds. ), Perspectives on drugs and society, Vol. 1. (pp. 173-186). Jos (Nigeria): Centre for Research and Information on Substance Abuse. 74. Obot, I. S. (1996). Problem drinking, chronic disease and recent life events. In H. Neighbors & J. Jackson (Eds. ), Mental Health in Black America. (pp. 45-61). Thousand Oaks, CA: SAGE Publications, Inc.
75. Obot, I. S. (1996, June). Drug abuse trends in rural and urban Nigeria. In N. J. Kozel (ed. ), Epidemiologic trends in Drug Abuse: Proceedings of the Community Epidemiology Work Group (pp. 419-430). Rockville, MD: National Institute on Drug Abuse. 76. Obot, I. S. (1993). The epidemiology of tobacco and alcohol abuse in Nigeria. In I. S. Obot (ed. ), Epidemiology and Control of Substance Abuse in Nigeria. (pp. 67-87). Jos: Centre for Research and Information on Substance Abuse. 77. Obot, I. S. (1992). Patterns of drug use and abuse in Nigeria. In N. J. Kozel (ed. ), Epidemiologic trends in drug abuse. (pp. 432-441). Rockville, MD: National Institute on Drug Abuse, U.S. Department of Health and Human Services. 78. Obot, I. S. (1992). Social science and medicine in Africa. In T. Falola & D. Ityavyar (eds. ), The political economy of health in Africa. (pp.123-142). Athens: Ohio University Press. 79. Obot, I. S. (1991). When behaviour counts: Individual responsibility in public health and development. In I. I. Ukpong (Ed. ), Priorities for the development of Akwa Ibom State, Nigeria. (pp. 509-524). Uyo: Centre for Development Studies, University of Uyo. 80. Obot, I. S. (1989). Alcohol and drug-related disorders. In K. Peltzer & P. Ebigbo (eds). Clinical psychology in Africa, the Caribbean, and Afro-Latin America. (pp.329-344). Enugu: Working Group for African Psychology. 81. Obot, I. S. (1989). Public attitudes to and beliefs about psychosocial disorders. In K. Peltzer & P. Ebigbo (eds. ), Clinical psychology in Africa, the Caribbean, and Afro-Latin America. (pp. 103-106). Enugu: Working Group for African Psychology. 82. Obot, I. S. (1986). An ecological approach to prevention of adolescent substance abuse In A. Ona Pela (ed. ), Strategies for effective control of substance abuse. Benin: Nigerian Institute on Substance Abuse. 83. Obot, I. S. (1986). An analysis of reported cases of sexual abuse of children in Calabar, Cross River State. In P. Ebigbo et al. (eds. ), Child labour in Africa. (pp. 86-90). Enugu: UNICEF/ANPPCAN. 84. Babor, T., Caulkins,J., Edwards, G., Fischer, B., Foxcroft, D., Humphreys, K., Obot, I. S., Rehm, J., Reuter, P., Room, R., Rossow, I., & Strang, J. (2010). Drug policy and the public good. Oxford: Oxford University Press. 85. Obot, I.S. & S. Saxena (2005, eds.) Substance use among young people in urban environments. Geneva: World Health Organization. 86. Obot, I.S. & R. Room (2005, eds.) Alcohol, gender and drinking problems: perspectives from low and middle income countries. Geneva: World Health Organization. 87. Obot, I.S. (2002). How to keep you child off drugs: a guide for parents, teachers and guardians. Jos: Centre for Research and Information on Substance Abuse. 88. Obot, I.S., & Ibanga, A. J. (editors, 2000). Perspectives on drugs and society, Volume 1. Jos (Nigeria): Centre for Research and Information on Substance Abuse. 89. Obot, I. S. (1999). Licit and illicit drugs: Essentials of substance abuse. Lagos: Malthouse Press. 90. Obot, I. S. (Compiler/Editor). (1996). Drugs and the Nigerian Society: A Comprehensive Annotated Bibliography. Jos: UNDCP/CRISA. 91. Obot, I. S. (1993). Drinking Behaviour and Attitudes in Nigeria: A General Population Survey in the Middlebelt. Jos: Centre for Development Studies Monograph Series 1/93, University of Jos. 92. Obot, I. S. (Editor, 1993). Epidemiology and Control of Substance Abuse in Nigeria. Jos: Centre for Research and Information on Substance Abuse. 95. Obot, I.S. (2010). Use and abuse of power: a reflection on the causes and consequences of corruption in Nigeria. Open Forum, 1(2), 13-18, 48. 96. Obot, I. S. (2010). Foreword. In Babor et al. Alcohol: No ordinary commodity. Oxford: Oxford University Press. 97. Obot, I. S. (2010). Foreword. In Heine, S. & Anderson, P. (eds. ), HIV & alcohol. Sweden: IOGT International. 98. Obot, I.S. (2006). Alcohol and its health consequences. Editorial in Adiktologie, 6(2), 113-115. 99. Obot, I.S. (2006). Review of Strategies to address alcohol problems by Diyanath Samarasinghe. Bulletin of the World Health Organization, 84(8), 684. 100. Obot, I.S. (2005). Foreword. In J. Orford et al., Coping with drug problems: the experiences of family members in three contrasting cultures (p.xi-xii). London: Routledge. 101. Obot, I.S. & Saxena, S. (2004). Review of K. Humphreys, Circles of recovery: self-help organizations for addictions. Bulletin of the World Health Organization, 82(5), 390. 102. Obot, I.S. & J.C. Anthony (2001). Review of Encyclopedia of Smoking and Tobacco. In Social Science and Medicine, 52, 1756-1757. 103. Obot, I. S. (1989). Review of Perspectives on Community and Rural Development in Nigeria. In Journal of Development Studies, 3(1&2), 95-97. 104. Obot, I. S. (1988). Review of Smoking: Third World Alert. In Nigerian Journal of Basic and Applied Psychology, 1(2), 79-82. Obot, I. S. (2013). Recent drug policy developments in Africa: Implications for harm reduction. Invited Plenary Presentation, International Harm Reduction Association Conference, Vilnius, Lithuania, June 2013. Obot, I.S. (2013). Preventing drug use and related harm among young people. Presented at Regional Workshop for Stakeholders in Formal and Informal Educational Institutions on the Prevention of Drug Abuse, Illicit Drug Trafficking and Organized Crimes in West Africa, Conakry, Guinea, 8-12 July. Obot, I. S. (2012). Drugs and drug control policies in West Africa. Invited panel Expert presentation at Seminar on “Drugs and Organized Crime: Towards a New Policy Agenda” at The Royal Institute for International Affairs, Chatham House, London, 3 July. Obot, I.S. (2012). Substance abuse in West Africa: health and social welfare issues. Presented at ECOWAS Media Experts Workshop, Lome, Togo, 7-9 August. Obot, I.S. (2010). Managing substance use disorders in Africa: Issues and Challenges. 4th Session of the African Union Conference of Ministers for Drug Control and Crime Prevention, Addis Ababa, 28 September – 2 October 2010. Obot, I.S. (2010). Illicit drug in West Africa. Invited address at World Forum Against Drugs, Stockholm, Sweden, 24-25 May 2010. Obot, I. S. (2009). The health challenges of alcohol and drug problems in Africa. Keynote address at the “First Brazil-Africa Meeting on Brief Interventions for Alcohol Problems: Research and Public Health,” University of Sao Paulo, Riberao Preto, Brazil, 14-15 May. Obot, I.S. (2009). Alcohol in Africa: consumption, problems and response. Invited expert presentation at IOGT/SIDA East Africa Conference on Alcohol, Arusha, Tanzania, 13-14 January. Obot, I.S. (2008). Harm reduction: a public health approach to drug problems. Keynote address at National Seminar on “Harm and Demand Reduction in the Treatment and Rehabilitation of Drug Dependents: Current Practices and Policies”, University of Malaysia, Sabah, Kota Kinabalu, Sabah, Malaysia. Obot, I.S. (2008). Drugs and development: human and social costs of substance abuse. Invited presentation at National Drug Law Enforcement Agency (NDLEA) Second Command Officers’ Summit, Yankari Game Reserve, Bauchi State, Nigeria, 4-8 August. Obot, I.S (2006). Alcohol and public welfare: a growing global challenge. Keynote address at Conference on “Alcohol use: correlates and consequences”, Centre for Addictology, 1st Medical Faculty, Charles University, Prague, Czech Republic, 29 June. Obot, I.S. (2006). Alcohol-related harm. Presented at the Plenary session on “Alcohol: a legal epidemic”, 17th International Conference on the Reduction of Drug Related Harm, Vancouver, Canada, 30 April-4 May. Obot, I.S. (2005). The global challenge of alcohol: a focus on young people. Invited Plenary Presentation at 10th European Conference on Rehabilitation and Drug Policy, Crete, Greece, 10-14 May. Obot, I.S. & Ibanga, A.K.J. (June 2004). Gender differences in psychoactive substance use: data from WHO/GENACIS collaborative project in Nigeria. Poster presentation at NIDA International Symposium, San Juan, Puerto Rico, 11-15 June. Obot, I.S. (March 2004). Global dimension and health burden of licit and illicit drugs. Presented at three symposia on alcohol and drugs, organized for the global launch of World Health Organization report on Neuroscience of psychoactive substance use and dependence. Ministry of Health, Brasilia, Brazil (18 March), Federal University of Sao Paulo, Sao Paulo (19 March), Institute of Psychiatry, Rio de Janeiro (19 March). Obot, I.S. (2003). Substance abuse research across cultures: beyond the ethical challenges. Presented at U.S. National Institute on Drug Abuse/South Africa Conference on Research Collaboration Across Cultures, 1-3 July, Cape Town, South Africa. Obot, I.S. (2003). Alcohol and public health: an international perspective. Presented at Annual Lonnie Mitchell HBCU Substance Abuse Conference, 2-4 April, Baltimore, MD. Obot, I.S., Ibanga, A., & Karick, H. (2002). Images of power and success: alcohol promotion and marketing. Presented at World Health Organization Conference on “Drinking it in: alcohol marketing and young people,” 7-9 May, Valencia, Spain. Obot, I.S. (June 2001). Assessment of drinking and drug use among adolescents in Jos metropolis, Nigeria. Presented at the 27h. Annual Alcohol Epidemiology Symposium of the Kettil Bruun Society for Social and Epidemiological Research on Alcohol, Toronto, Canada. Obot, I.S. (2000). Problems in measuring alcohol use in Nigeria. Presented at Kettil Bruun Society on Alcohol Epidemiology, Thematic Conference on the “Measuring drinking patterns and alcohol problems,” Stockholm, Sweden, 3-7 April. Obot, I.S. & Kirk, J. (2000). Using community volunteers for drug treatment referral: the Baltimore Aid First Initiative. Presented at Lonnie E. Mitchell National Historically Black Colleges and Universities Conference, Baltimore, 5-8 April. Obot, I.S. (2000). Drugs, youth and urbanization in Nigeria. Presented at World Health Organization conference on “Strategies to prevent substance abuse among children at risk in the urban context,” Kobe, Japan, 7-11 February. Obot, I.S. (1999). Drug abuse surveillance in Nigeria. Presented at World Health Organization meeting on “Global Drug Abuse Surveillance,” Montreal, Canada, 29 Nov.–1 Dec. 1999. Obot, I.S. & Anthony, J.C. (1999, June). Mental health problems of adolescent children of alcohol dependent parents: evidence from a national sample. Presented at the 61st. Conference of the College on Problems of Drug Dependence (CPDD), Acapulco, Mexico. Obot, I.S. (1999, June). Alcohol abuse among out-of-school Nigerian adolescents. Presented at the Annual Meeting of the Kettil Bruun Society for Alcohol Epidemiology (KBS), Montreal, Canada. Obot, I.S. (1999, April). Alcohol abuse and HIV risk behaviors in a national sample of African American young adults. Presented at the Lonnie Mitchell National HBCU Substance Abuse Conference, Baltimore, MD. Obot, I.S. (1998, October). Substance abuse and mental health in Africa. 41st. Annual Meeting of the African Studies Association (ASA). Chicago, IL. Obot, I.S. (1996, June). Drug abuse trends in rural and urban Nigeria. Paper presented at Community Epidemiology Work Group, National Institute on Drug Abuse, New York, NY. Obot, I.S. & Obot, T. I. (1994, October). Domestic violence in Nigeria. Paper presented at Thirteenth International Conference on the Social Sciences and Medicine, Budapest, Hungary. Obot, I.S., & Gire, J. (1993, December). Psychology and national development in Nigeria. Paper presented at the 1993 Annual Meeting of the African Studies Association, Boston, MA. Obot, I.S. (1992, October). Health services to Nigerian families. Plenary presentation at the Sixth Annual Conference on “Counseling and Treating People of Color.” St. Thomas, U.S. Virgin Islands. Obot, I.S. (1992, June). Patterns of drug use and abuse in Nigeria. Presented at the Community Epidemiology Work Group, National Institute on Drug Abuse, Philadelphia, PA.
Obot, I.S. (1992, February). The African family and substance abuse. Invited paper presented to a joint meeting of Family and Substance Abuse NGO Committees of the United Nations, New York, NY. Obot, I.S. (1992, January). Drug abuse and related problems in Nigeria. Paper presented at the Carl A. Taube Seminar Series, Department of Mental Hygiene, Johns Hopkins University, Baltimore, MD. Obot, I.S. (1990, September). Substance abuse, health and social welfare in Africa: An analysis of the Nigerian experience. Background paper presented at First African Regional Conference on Social Science and Medicine, Kenya. Obot, I.S. (1990, June). Morbidity and mortality among inmates in Nigerian prisons: Causes and solutions. Commissioned paper presented at the National Conference on Prison Reforms in Nigeria, Abuja, Nigeria. Obot, I.S. (1990, May). General population survey of alcohol & drug abuse in Nigeria: The Middlebelt study. Paper presented at the 7th Annual Conference of the Nigerian Psychological Association, Enugu, Nigeria. Obot, I.S., & Olaniyi, A.A. (1990, May). Drug-induced psychological disorders in four Nigerian hospitals, 1984-1988. Paper presented at the 7th Annual Conference of the Nigerian Psychological Association, Enugu, Nigeria. Obot, I.S., & Tamen, F.I. (1990, May). The management of psychological problems by Nigerian medical practitioners. Paper presented at the 7th Annual Conference of the Nigerian Psychological Association, Enugu, Nigeria. Obot, I.S. (1989, February). Treatment of alcohol and drug-related problems. Invited paper presented at the 8th Annual Conference of the Nigerian Association of Clinical Psychologists, Aro Neuropsychiatric Hospital, Abeokuta, Nigeria. Obot, I.S. (1989, February). Drug use and abuse in Nigeria: Prevalence and approaches to prevention. Paper presented at the Seminar on Community Approaches to the Prevention of Alcohol and Drug Abuse among Youth: Nigerian and American Perspectives, organized by U.S. Information Service and Nigerian Institute on Substance Abuse, Jos, Nigeria. Obot, I.S. (1988, October). The prevention of child abuse and neglect in Nigeria: an ecological model for research and action. Paper presented at the 2nd Biennial Conference of the African Network for the Prevention and Protection Against Child Abuse and Neglect (ANPPCAN), Jos, Nigeria. Obot, I.S. (1987, May). Psychologists in medical schools: contributions, problems and future roles. Paper presented at the 4th Annual Conference of Nigerian Psychological Association, Lagos. Obot, I.S. (1986, July). An ecological approach to the prevention of adolescent substance abuse in Nigeria. Paper presented at the 1st Annual Conference of Nigerian Institute on Substance Abuse, Benin, Nigeria. 2006: Certificate of Recognition for dedicated service as an international liaison, Division of International Psychology, American Psychological Association (APA), Washington, DC. Founding Editor-in-Chief, Nigerian Journal of Basic and Applied Psychology, 1987-1995. (Published by Department of Psychology, University of Jos). Associate Editor, Journal of Psychology in Africa, published by Working Group for African Psychology, South Africa. The Lancet, Social Science and Medicine, Addictive Behaviors: An International Journal, Addiction, Drug and Alcohol Dependence, International Journal of Drug Policy, Journal of Psychology in Africa, Bulletin of the World Health Organization, Scandinavian Journal of Public Health, etc. Resource Person, Economic Community of West African States (ECOWAS) Meeting of Experts On Drug Demand Reduction, Accra, Ghana, 17-19 May 2011. Resource Person, 4th Session of the African Union Conference of Ministers for Drug Control and Crime Prevention, Addis Ababa, 28 September – 2 October 2010. Chairperson, World Health Organization Meeting for International Research on Alcohol, Health and Development, Stockholm, Sweden, 24-25 September 2009. Temporary Adviser & Rapporteur, World Health Organization, Regional Technical Consultation on Global Strategy to Reduce Harmful Use of Alcohol, Brazzaville, Congo, 3-5 March 2009. Member, Guidelines Development Group, Essential Package for Mental, Neurological and Substance Use Disorders, World Health Organization, Geneva, Switzerland, 2008-2009. Substance Abuse Expert, Economic Community of West African States (ECOWAS) Ministerial Conference on Drug Trafficking as a Security Threat in West Africa, meetings in Abuja, Nigeria and Praia, Cape Verde, October 2008. Guest Interviewee: BBC Radio, International Herald Tribune, Harvard Public Health magazine, SABC (Cape Town), NTA, AKBC, Czech Television (Prague), NTA, etc. Consultant, Project on the “Linkage between licit and illicit drugs, HIV/AIDS, conflict, and the impact of drugs on socio-economic development in Africa,” Drug Control Focal Point, The Organization of African Unity, Addis Ababa, Ethiopia, June 200. Consultant/Adviser, House of Representatives Committee on Drugs, Narcotics and Financial Crimes, National Assembly, Abuja, 1999 – 2002. Consultant, WHO “Consultation on Alcohol Epidemiology in Developing Societies”, Mexico City, Mexico, August 1998. Resource person, “Conference on Epidemiology and Prevention of ATOD Abuse and Violence in South Africa and the U.S.,” National Institute on Drug Abuse and Center for Drug Abuse Research, Howard University, January 1998, Washington, DC. Plateau State Coordinator, Project on Public Sector Health Expenditure Patterns and Financing, Health Policy Training and Research Programme, University of Ibadan Project, 1995. Consultant, UNDCP/NDLEA Workshop for the Development of a Drug Demand Reduction Programme for Nigeria, Lagos, 14-25 November 1994. Convener and Conference Chair, International Biennial Conference on “Drugs, Alcohol and Society in Africa”, 1991, 1993, 1995, 1999, 2000, 2002, 2006, 2008, 2010, 2012 held Jos or Abuja, Nigeria. 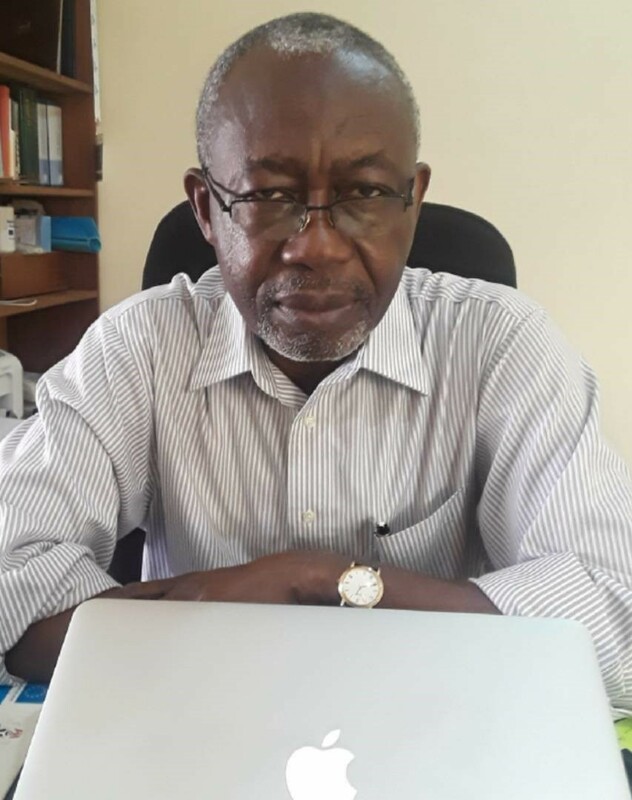 Founding Director, Centre for Research and Information on Substance Abuse (CRISA), Jos, Nigeria, 1990 – Present. Chair, Panel on Mental Health in Africa, 41st Meeting of the African Studies Association, Chicago, October 1998. General Secretary, Nigerian Psychological Association, 1988-90. Publicity Secretary, Nigerian Psychological Association, 1990-1992 & 1992-1995. Plateau State Director and Chairman, Drug Abuse Enlightenment Committee, Nigerian Institute on Substance Abuse (1986-1991). Member, International Board of Advisors, Third Afro-Asian Psychology Congress, Kuala Lumpur, Malaysia, August 1994. Postgraduate Studies Coordinator, Department of Psychology, University of Jos, 2000 to 2002. Congregation Representative, Student Disciplinary Committee, University of Jos, 1987-1994. Examination Officer, Department of Psychology, 1993-1995. Chairman, Research and Seminars Committee, Faculty of Social Sciences, 1995). Faculty Representative, Appointments and Promotions Committee (A- Complex, 1995-1996). External Assessor for promotion to rank of associate professor, Nnamdi Azikiwe University, Awka, Department of Psychology, 2011. External Assessor for promotion to rank of associate professor, University of Benin, Department of Mental Health, 2010. External Examiner, MSc Programme in Clinical Psychology, Department of Psychiatry, University of Nairobi, Nairobi, Kenya, 2009-2011 (3 sessions). Co-Supervisor of Dr Mary Wangari Kuria, Ph.D. degree , Department of Psychiatry, University of Nairobi, Kenya (successfully defended in 2010). Trainer, Workshop on “Publishing addiction science” at 7th Biennial International Conference on “Drugs and Society in Africa,” Abuja, Nigeria, 26-27 July 2006. Trainer, Workshop on “Publishing addiction science” at Kettil Bruun Society for Alcohol Epidemiology Conference, Riverside, CA, June 2005. Coordinator/Trainer, Training workshop on prevention of substance abuse for NGOs. Sponsored by United Nations Office on Drugs and Crime, September 2001, Jos, Nigeria. Coordinator/Trainer, Drugs and Driving Workshop, CRISA, Jos, Nigeria, May 1996.